Ryan is the President of an extraordinary company, My IT Indy. They are dedicated to helping your business be more efficient and profitable through the use of technology. He has worked on technology for over 35 years, starting with an Apple IIe! Ryan loves helping businesses grow and become more successful through planning and implementing appropriate technology solutions. Ryan Grimes has hosted 31 Episodes. On this episode, we interview ScoocH President and Co-founder Matt Foley on his journey to rival the PopSocket by creating the No. 1 phone case for video streaming. 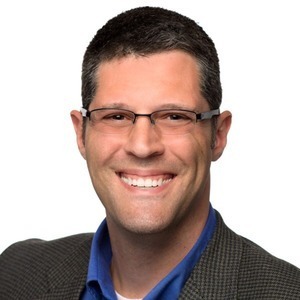 On this episode, we interview Brian Rowe of Perceivant. Perceivant is an Indianapolis-based educational technology company serving the higher education marketplace. On this episode, we interview Susan Marshall, a 20-plus year technology veteran who's been deeply involved in the rapid evolution of digital marketing, video, audio, mobile, social and data management technologies. On this episode, we interview Harry Howe. Harry has mentored hundreds of young people, entrepreneurs, and businesses in the community. As soon as you meet him, you'll understand why. 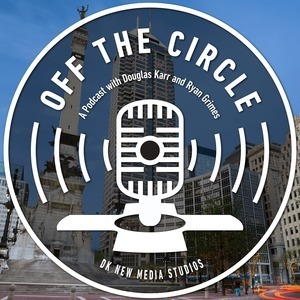 On this episode, we interview Oscar Moralez, a Serial Entrepreneur from the Life Sciences industry and Founder of Indianapolis' Largest Angel Investment Firm, VisionTech Partners. On this episode, we interview Greg Wilson of Wilks and Wilson, an Indianapolis-based company that designs hand-crafted, organic infused and all natural elixirs for alcoholic drinks, non-alcoholic drinks, and even for cooking. On this episode, we interview a judge, a corporate attorney, and a small business attorney... all members of the Indianapolis Bar Association. It's a unique look inside the legal community, its adoption of technology, and the key issues facing Indianapolis businesses today. On this episode, we interview CEO Tammie Barney and Program Manager Thomas Christenson of TeenWorks. TeenWorks provides a year-round employment and college readiness program with supportive services for teens throughout the school year. There was recent news of Indiana hospitals being targeted and successfully attacked with ransomware. These attacks are profitable to hackers and a lot more common than you think. Today, we discuss corporate security and discuss the steps organizations can take to protect themselves. The Indy Startup Challenge started as an idea by Kelly Schwedland and Joe Albano to bring world class startup tools to local companies. Episode 18: What Makes Biking in Indianapolis so Fantastic? We gathered some avid cyclists from in and around Indianapolis to speak to why this city is such an amazing place for bicycling. Tune in to hear from veterans, charities, mechanics, and even a cyclist with a national following! Jen is a wonderful, positive treasure here in the local community. Her mission is to help the do-gooders of the world make a profound impact by putting them in the ears, heads, and hearts of new audiences with podcasts and other audio content.